Venice views: The awards season doesn't have an official start date, but for many Hollywood handicappers the Oscar buzz starts at the Venice Film Festival. The 73rd event in the prestigious Venice series gets underway Aug. 31 and will bring to the Lido the usual glamorous mix of movie stars, celebs, starlets, studio execs, producers, faux producers, paparazzi and the media crowd. By the time Venice wraps up Sept. 10, someone will need to find room in their luggage to pack the festival's top award, the Golden Lion. Winning the GL is certainly better than losing, but winning doesn't typically translate into Oscar gold six months later. Last year, for instance, the GL went to the Venezuelan romantic drama, "From Afar." Directed by first time feature director Lorenzo Vigas, it starred Alfredo Castro, Luis Silva and Jericó Montilla. "Afar" received no Oscar nominations. On the other hand, the biographical crime drama "Spotlight," which had its world premiere in Venice last year (out of competition) at the 72nd annual festival, went on to win Oscars for best picture and original screenplay. Looking back over the years, we see that although winning the GL doesn't correlate with a best picture Oscar victory, having a high profile premiere at Venice – and subsequent gala showings or premieres at other prime fall festivals like Telluride, Toronto and New York -- can help launch a successful Academy campaign. In 2014, for instance, the romantic comedy drama "Birdman" world premiered in Venice as the opening night selection at the 71st annual festival. It screened in competition, which was unusual for a festival opener. But the GL went to the Swedish comedy drama "A Pigeon Sat on a Branch Reflecting on Existence." However, "Birdman" went on to win four Oscars, including best picture and directing (Alejandro G. Iñárritu). In 2013, Alfonso Cuarón's sci-fi adventure drama "Gravity" world premiered at Venice as the opening night selection for the 70th annual edition and played out of competition. The GL went to the Italian documentary "Sacro GRA." "Gravity" ended up with a best picture Oscar nom and seven Oscar wins, including directing. Clearly, Venice is a great showcase for films that can resonate with Academy voters, so it doesn't matter if they take home the GL or not. Going way back, many GL winners were films we now remember as high profile international classics – like Akira Kurosawa's "Roshomon" (1951), Alain Resnais's "Last Year in Marienbad" (1961), Michelangelo Antonioni's "Red Desert" (1964) and Luis Buñuel's "Belle de Jour." By the 1990's and throughout the first decade of the 2000's, the GL winners tended to be English language indie dramas with low or modest budgets – like Neil Jordan's "Michael Collins" (1996 – two Oscar noms: cinematography, original score); Mike Leigh's "Vera Drake" (2004 – three Oscar noms: lead actress, directing, original screenplay); Ang Lee's "Brokeback Mountain" (2005 – a best picture Oscar nom and three wins: directing, adapted screenplay, original score); Darren Aronofsky's "The Wrestler" (2008 – two Oscar noms: lead actor, supporting actress); and Sofia Coppola's "Somewhere" (2010 – no Oscar noms). This year's Venice lineup includes some high profile entries that already have an early awards season buzz going for them. Festivalgoers will be able to view some 56 films, including 20 in competition. Here's a quick look (in no particular order) at a few titles that are a safe bet to be in the media spotlight on the Lido. 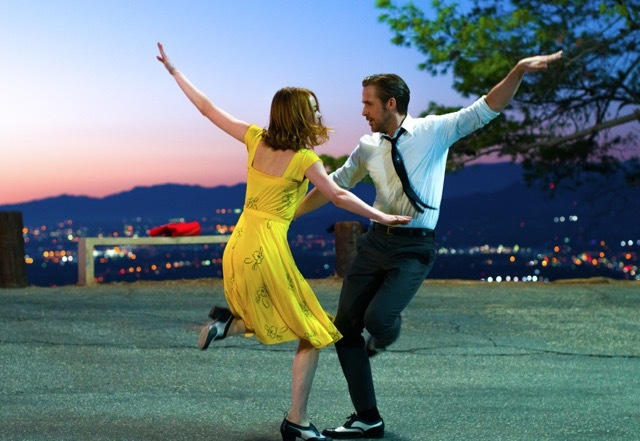 The festival's opening night selection (in competition) is the PG-13 rated musical comedy drama "La La Land," starring Emma Stone, Ryan Gosling and Finn Wittrock. Its writer-director, Damien Chazelle, was an adapted screenplay Oscar nominee in 2015 for "Whiplash." 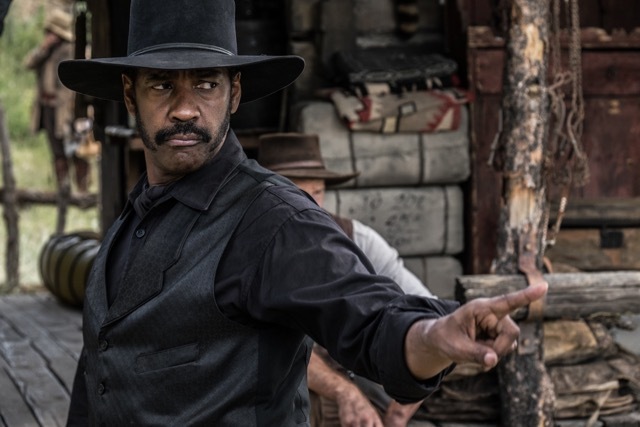 Closing night will see Antoine Fuqua's ("Training Day") PG-13 rated remake of the 1960 classic western "The Magnificent Seven" (out of competition). The new action drama's cast includes: Denzel Washington, Chris Pratt and Ethan Hawke. The original, directed by John Sturges ("Bad Day at Black Rock"), starred Yul Brynner, Steve McQueen and Charles Bronson. 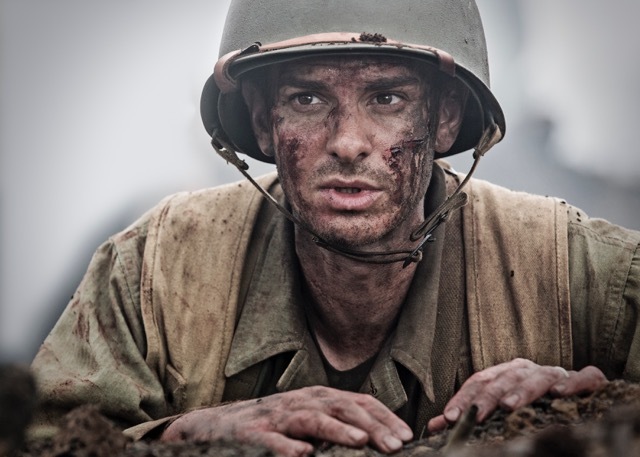 The historical biographical World War II drama "Hacksaw Ridge" (out of competition) is directed by Mel Gibson, who won best picture and directing Oscars in 1996 for "Braveheart." Starring are: Teresa Palmer, Sam Worthington and Andrew Garfield. "Ridge" opens wide Nov. 4 via Lionsgate. Gibson's last film as a director was the 2006 action adventure "Apocalypto," starring Gerardo Taracena, Raoul Max Trujillo and Dalia Hernández. It opened Dec. 8, 2006 to $15 million and did $50.9 million domestically. Derek Cianfrance's ("Blue Valentine") PG-13 rated romantic drama "The Light Between Oceans" (in competition) is from Heyday Films, LBO Productions, DreamWorks SKG, Participant Media, Amblin Entertainment, Reliance Entertainment and Touchstone Pictures. Starring are: Michael Fassbender, Alicia Vikander and Rachel Weisz. It opens wide Sept. 2 via Disney. Tom Ford's ("A Single Man") thriller "Nocturnal Animals" (in competition) is from Focus Features and Universal Pictures and stars Amy Adams, Jake Gyllenhaal and Armie Hammer. Ford was a GL nominee in 2009 for "Man." Amy Adams is also starring in a second title that will be playing in competition at Venice. The sci-fi drama "Arrival" from FilmNation Entertainment is directed by Denis Villeneuve ("Sicario"). Starring are: Adams, Jeremy Renner and Forest Whitaker. It opens wide Nov. 11 via Paramount. The biographical drama "Jackie" (in competition) from Bliss Media is directed by Pablo Larrain ("Neruda"). Natalie Portman stars as Jacqueline Kennedy in the days following the 1963 assassination of President John F. Kennedy. Also staring are: Greta Gerwig, Billy Crudup and Peter Sarsgaard. No U.S. distribution deal has been announced at this writing. Larrain was a GL nominee in 2010 for "Post Mortem." One of the highest profile titles playing in competition at Venice is Plan B Entertainment's documentary drama "Voyage of Time," from director Terrence Malick. Malick is a three time Oscar nominee – for "The Tree of Life" in 2011 (directing) and "The Thin Red Line" in 1998 (directing and adapted screenplay). He was a GL nominee in 2012 for "To the Wonder." "Time," opening in IMAX release Oct. 7 via Broad Green Pictures, is the story of our universe. Its narration is by Brad Pitt and Cate Blanchett. "A labor of love nearly four decades in the making," Broad Green notes, "this is Malick's first foray into documentary storytelling -- spanning the Big Bang to the dinosaur age to our present human world." Bottom line: Oscar marketers follow a pattern that sees films begin building their awards profiles at fall film festivals in Venice, Telluride, Toronto and New York. That elevates some of them to contender status, creating a media buzz to move their narrative along until November and December. Then critics groups' awards and noms from other organizations kick in to establish front runners. For now, the action will begin in Venice and quickly shift to the 43rd annual Telluride Film Festival (Sept. 2-5), the 41st annual Toronto International Film Festival (Sept. 8-18) and the 54th annual New York Film Festival (Sept. 30 – Oct. 16). Meanwhile, Hollywood's enjoying some late summer boxoffice success that's helping year-to-date comparisons with 2015, according to comScore. Driven by last weekend's $43.8 million for weekend two of Warner Bros.' "Suicide Squad" and the tasty $33.6 million second place opening for Sony's R rated animated "Sausage Party," ticket sales for all films in the marketplace were about $170 million. That's an increase of about 14.6 percent vs. $148.3 million last year when "Straight Outta Compton" opened in first place to $60.2 million. The year-to-date boxoffice, per comScore, is about $7.55 billion, up 5.2 percent from last year's $7.18 billion.